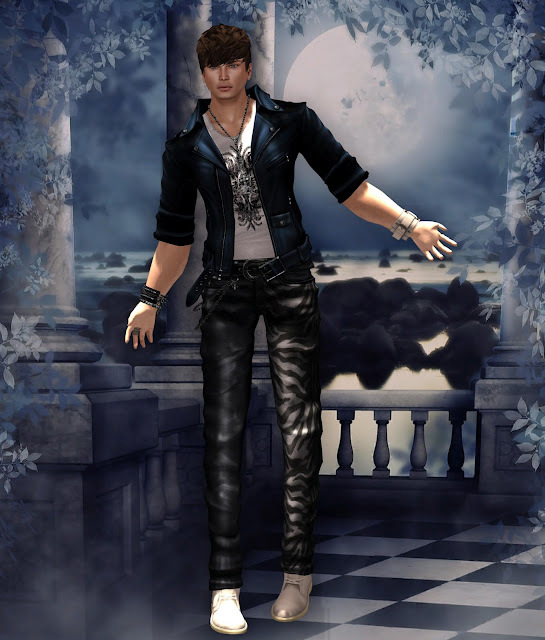 Boy Next Door: "Mr. Grasp Biker"
Before I continue blogging with items from MHOH7 hunt, I would like to feature first one of my favorite clothing store.... +Grasp+. And at their latest release, 3 new mesh items are at stores now; and as they were known for realistic textures and awesome styles. Also, one of Mandala's latest Summer release is the white bracelet than I'm wearing. Enjoy this awesome items while they're sizzling hot new releases from these great stores.